Oceanography of the coastal zone as an interdisciplinary science has received little attention, as most of the studies focus either on the physical oceanography or on the marine ecosystems, independently. 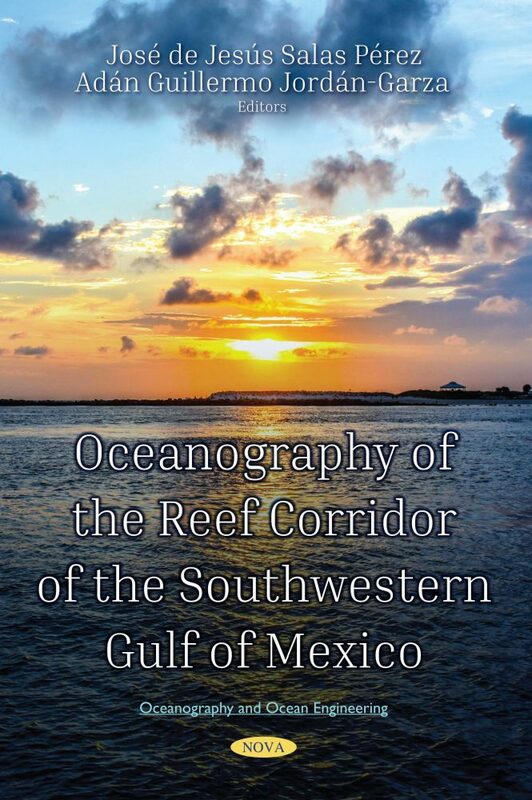 The reef corridor of the Southwestern Gulf of Mexico offers the unique opportunity of doing research on meteorological events which affected currents, water masses and tides, but also the interaction with the many coral reefs found on the study region. The presence of these reefs interacts with the oceanographic processes, for example, by diffracting or refracting the tidal waves at different frequencies. These interactions have consequences on the biological and chemical composition of the water masses and drive the exchange of larvae between the reefs located on the northern, central and southern coast of the Southwestern Gulf of Mexico and even more remote areas such as the Caribbean or Florida. Yet, the oceanography of this region is poorly understood and more so the interactions with the important coastal ecosystems located along the coast. More studies relating oceanographic factors with biological processes in a scenario of global and local changes are needed. This work presents research on open questions dealing with the climatology of cold surges, the movement of water masses and tides, the upwelling and fertilizing process related to a permanent cyclonic eddy and the variability of chemical and biological processes related to the complex hydrodynamics on a coral reef system. One of the main objectives of this book is pointing to the need of interdisciplinary research to understand the process that drives changes on the coastal ecosystems at local, regional and global scales. Audience: Oceanographers, Biologist, Marine Biologist, Marine Ecologist, Meteorologist.